Silent City, now in its fourth year, is a two-day conference held by leading equipment manufacturer Husqvarna. It focuses on the environmental impact that green spaces and landscaping has on the environment. The two days aim to inform attendees of how this can be reduced through best practice and cutting-edge equipment. This year’s event was in Hamburg, Germany. A forward-thinking place, Hamburg is the first German city to ban older diesel cars and has green space conservation as a priority, making it a fitting location for the Silent City conference. Day one began with talks from the World Wildlife Fund and Husqvarna, both breaking down the impact that noise and air pollution has on the environment. Concerning statistics arose at the global temperature increase, directly caused by global pollution output. 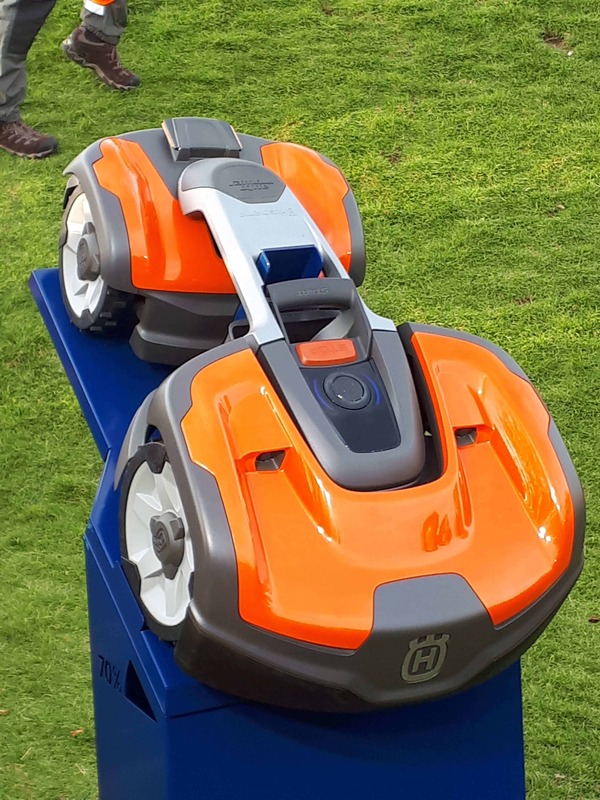 This was followed by a live demonstration of Husqvarna’s latest battery chainsaws and the unveiling of the new 535 AWD Professional Automated Mowing System for 2019. The day rounded off with a meal in the Reichshof hotel and drinks for all speakers and attendees. The next morning began with further presentations from Husqvarna on noise reduction technology and the impact green spaces have on cities. Benefits highlighted include: Bringing in a greater number of professionals, improving property prices, and improving city-dweller’s health which in turn saves money for health services. Husqvarna also showed their future plans for 2025 with Husqvarna Zero. This is a fully automated maintenance system with mowers automatically mowing green space, reconnecting themselves to charge and locking away in a sealed container. Pro Landscaper would like to thank Husqvarna for the invitation to this fantastic event, and cannot wait until next year!